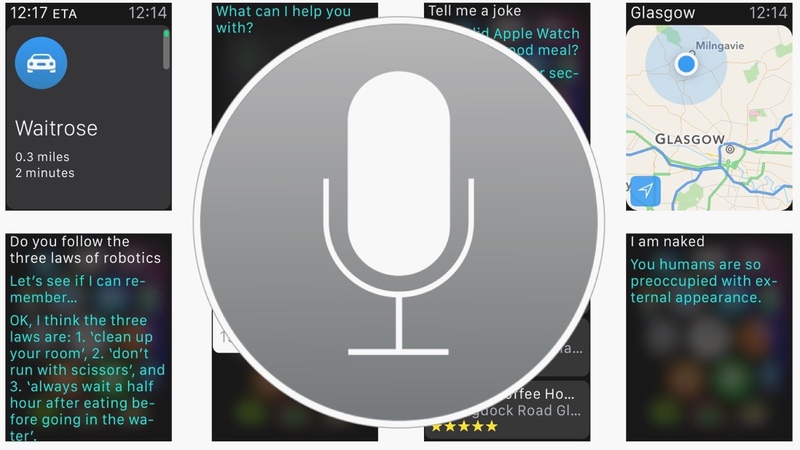 Siri, Apple's voice-activated digital assistant, does a lot. With watchOS 3 set to arrive later this year (hopefully alongside the Apple Watch 2), things are only going to get better. For now, you can still put one of the more useful features on the Apple Watch to good use and make that smartwatch handier than ever. Here are thirteen ways Siri's Apple Watch incarnation can make your life easier, more interesting and even more amusing. If you've enabled Hey Siri in your Watch settings, Siri starts listening whenever you wake your watch - and that means you can launch apps by raising your wrist and saying, "Hey, Siri, launch X" (where X is the name of the app). If Siri doesn't see the app on your watch you'll be asked whether you want to find it on your iPhone's app store. Siri can do all kinds of things to do with time. You can ask Siri to, "Set a timer for X", "Count down ten minutes", ask what the current time is in any part of the world, or ask what time the sun will set tonight or tomorrow. You can also get help with dates, for example by asking, "What day will Easter be next year?" If you need to check your diary to see if you're free or just need a reminder of what you've got to do tomorrow, you can call up your calendar with a quick "Hey Siri, what's my schedule for tomorrow?" or "What's my schedule for November 19th?" You can also create entries by saying, "Create an appointment for 9am tomorrow meeting with Jim" or "Remind me at 3 o'clock to put the oven on". This one's handy if you're driving or doing anything else where your phone shouldn't or can't be used: if you ask Siri to call a particular number or contact name (and your phone's in range) the call happens automatically. The same applies to sending messages: "Send Dave a message Running late comma there in ten full stop" dictates and sends an SMS or iMessage. As weather forecasters go, Siri's pretty good: you can discover the temperature, whether it's going to rain and what time the sun goes up and down not just for where you are right now, but for specific places on particular days by asking a question such as, "Is it going to rain in London tomorrow?" The Apple Watch is pretty good at giving you a nudge when you've forgotten something as long as you add it as a reminder. It's really easy to do. Just call out, "Hey Siri, set a reminder to buy milk when I leave the house". The reminder will sync across all devices and should give you a nudge to make sure you don't forget. Siri can search Wolfram Alpha and Wikipedia to find the answer to questions. Want to know the gross domestic product of Cuba? Just ask Siri, "What's the GDP of Cuba?" You can convert measurements from one unit to another, perform calculations, find out the height of Mount Everest or the depth of Loch Ness, or get answers to anything else you might be wondering about. Just do it surreptitiously if you're cheating at a pub quiz, and don't do it at all if you're at a pub quiz competing against us. Siri can access Apple Maps' points of interest, so you can ask and get sensible answers to questions such as, "Where can I get a cup of coffee? ", "Where's the nearest cash machine? ", "Where can I get Italian food?" or "Where's the nearest BP garage?" and get suggestions and directions. You can also find out about sports fixtures: "When is the Man United match? "- and find cinema listings by asking, "Where can I see Ant Man?" or "What's on at the cinema tonight? ", although the movie results tend to get spotty when you're more than a few miles from the nearest fleapit. Siri makes an excellent sat-nav, not least because of Apple's integration between Maps and Contacts: saying, "Take me home" or "Give me directions to James' house" will interrogate your address book to find the appropriate entry. You can also search for landmarks and places of interest such as tourist attractions, shops, bars, venues and so on. Maps will then tap to direct you: one block of twelve taps means turn right and three double-taps means turn left. That makes it particularly handy for finding your way around when you're driving, cycling or just wandering through a bit of town where you don't want to wave your iPhone around. If you've got a HomeKit friendly smart lighting system like Philips Hue 2.0 for example, then you'll be able to link the Hue Bridge to HomeKit and enable Siri control. Then you can ask Siri to turn the lights on or off and to set the scene all without moving a muscle. Apple's programmers have clearly been having some fun with some questions: for example, if you ask when the world's going to end Siri suggests 2038 based on a calculation we'll let Siri explain to you. If you ask, "How do you dispose of a body?" Siri asks "What, again?" You can have fun with other phrases too, such as the movie-related, "Open the pod bay door", "Are you Her? ", the too-much-information, "I'm naked" or the rather important, "Do you follow the three laws of robotics? ", "What does the fox say?" or "Does Santa Claus exist?" You can also try to get Siri to tell you a story or a joke or sing you a song, or to work out, "How much would would a woodchuck chuck if a woodchuck could chuck wood?" Siri can be surprisingly deep sometimes: ask what the answer to life, the universe and everything is and you won't get the obvious "42". Instead, you'll get one of several thoughtful responses. Similarly, if you ask Siri, "What is time?" things get awfully deep awfully quickly. Siri isn't always a bundle of joy. Ask whether Siri has a boyfriend or girlfriend, or ask what zero divided by zero is and you'll see a much snarkier side to Siri. Siri isn't too happy if you say, "OK Glass" or "OK Google" either.